LCpl Harding served with 1st Battalion Duke of Lancaster’s Regiment for 16 years, mostly as a sniper with the Reconnaissance platoon. His service included operations in Bosnia, Kosovo, Northern Ireland, Iraq and Afghanistan. In 2010 Mark was deployed on operations to the Nadi-Ali district of Afghanistan, it was his fifteenth year of service in the British Army. The area was a well-known trouble spot that was notorious for heavy sniper fire. In 28 May 10, Mark was leading four-man patrol sent from the platoon base to investigate an Improvised Explosive Device (IED). Whilst out on a routine patrol, Mark’s platoon came under insurgent fire and he was shot by a Taliban sniper, he says that ‘I looked down and saw that the left hand side of my body armour was covered in blood, I then blacked out’. Upon evacuation to Camp Bastion it was discovered that the sniper bullet has passed through his neck, leaving him paralysed from the neck down and with severe injuries to the spinal cord. He returned to Selly Oak Hospital, Birmingham and was placed in an induced coma for six days and it took another four weeks to stabilise him from the extreme pain that he had. To assist with his recovery Mark was then moved to another hospital for seven months. At this point Mark was paralysed from the neck down and was told by two consultants that he may never walk again. Mark says that he realised the extent of his injuries that he was completely devastated but was determined to learn to walk again. He then spent two and a half years at the Defence Medical Rehabilitation Centre, Headley Court. He underwent a demanding two and a half years undergoing physiotherapy. Ultimately he became more mobile. Four years on his recovery has been a long and challenging one but he has shown extraordinary determination and has defied medical expectations. He can now walk again, but it is with difficulty and not without a stick and other aids. ABF The Soldiers’ Charity has supported him considerably; we first provided funds for home adaptations and a specialist wheelchair, helping him to live as independently as possible. We then helped him take up kayaking by giving a grant for a Kayak Ergo trainer and a multi gym so he can train at home, as well an outrigger VA Kayak for him to train outdoors at Derwent Marina. Since then Mark made the GB Sprint Kayaking squad. Mark is now undertaking Dragon boating. In 2014 he represented his club in an international competition in China. In 2015, Mark was selected to represent Great Britain paddling with an able-bodied crew in the European Dragon Boat Championships. Mark has been involved with the inception of Purple Warriors – the UK’s first dedicated dragon boat racing team for ex-Service personnel impaired by their service in some way. In 2017, The Soldiers’ Charity has assisted with a grant for Purple Warriors. 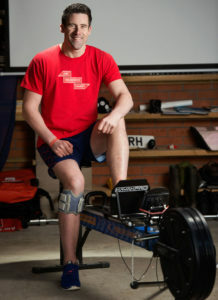 Incredibly, despite everything he has been through Mark has decided to repay the charity and support fellow injured comrades by raising money for other soldiers and their families. 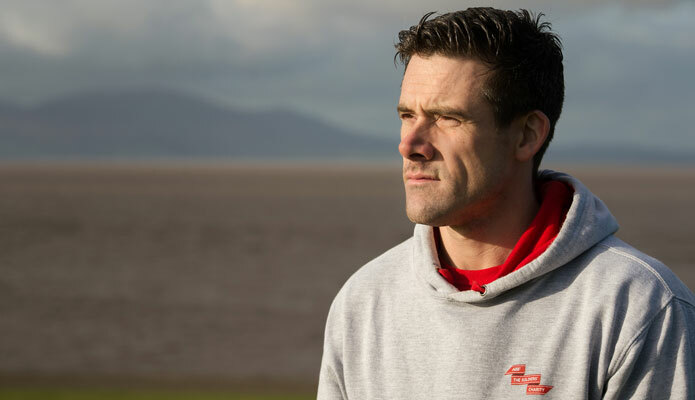 He has he climbed Skiddaw Mountain in the Lake District raising a fantastic £6,000 for The Soldiers’ Charity and undertaken ‘Challenge Mark’; a series of extreme challenge events around the UK. Mark says that ‘I want to continue to push myself and make a difference. I want to show people with injuries from Afghanistan, Iraq (or any war zone) that you can still do things and do them bloody well because we are soldiers. As the British Army motto states, we can still be the best’.